Exotic pets have special needs in the hospital. We have two warming / oxygen therapy incubators and an isolated climate control ward designed to accommodate these unique patients. 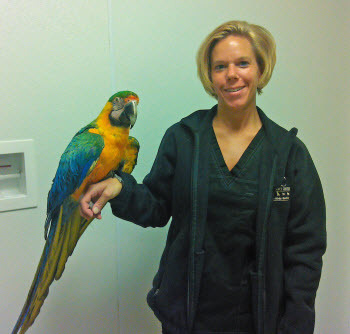 AEC is the only emergency animal hospital in Southeastern Michigan staffed 24 hours a day with experienced veterinarians and technicians that are specifically trained and equipped to provide emergency care for exotic and avian species. AEC treats all avian species, pocket pets and exotic pets including bearded dragons, chinchillas, ferrets, geckos, guinea pigs, hedge hogs, iguanas, pot-belly pigs, rabbits, rats, reptiles, snakes, sugar gliders, turtles and even the occasional wallaby!